Christopher Monckton is one of the leading lights in the movement to discredit the International Panel on Climate Change, climate science and its findings on the human contribution to current climate change. Local climate change sceptics and deniers like Ian Wishart, the New Zealand Climate Science Coalition, The Climate Coversation Group and bloggers pro0moting a denier platform eagerly promote his statements and videos. Monckton is the Chief Policy Adviser of the Science & Public Policy Institute (SPPI) which disseminates propaganda aimed at discrediting climate science and scientists. So it’s worth considering what his ideological approach to science is. “Precisely because the worst sort of scientists are prone to say, intolerantly, that religion is not a legitimate pastime for any scientist, many scientists have come to the view that they no longer need to adhere to any moral precept at all. Morality, they say, is the province of religion and not of science. We, they say, can do what we like as long as we can get away with it, and there is no such distinction any more as true or false, right or wrong, just or unjust. This is exactly the approach taken by the anti-science activists of the intelligent design movement. While I don’t by any means wish to equate very climate change sceptic with intelligent design, Monckton’s position does give some ideological explanation to the observation that many climate change deniers are also Christian apologists and intelligent design/creationism proponents. So just imagine of Mockton had his way. Scientists would have to have religious certification, capable of being withdrawn anytime their findings contradict the religious “truth” promulgated by the Church. Imagined lining up every six moths for your “scientific warrant of fitness.” Being examined by the local Bishop, Priest, Parson, Iman, Monk, etc., and, depending on how they thought you did in their test, relying on their accreditation, their stamp of approval. I guess that’s one way of eliminating climate change! This entry was posted in belief, Christianity, creationism, Environment and Ecology, Expelled, god, human rights, intelligent design, religion, science, Science and Society and tagged Ben Stein, Christianity, Christopher Monckton 3rd Viscount Monckton of Brenchley, climate change, Environment, Expelled: No Intelligence Allowed, global warming, Lord Christopher Monckton, religion. Bookmark the permalink. Some scientists believe that telling lies is fine in many cases… and the end justifies the means (example: some Climate Scientists have been overheard to say exactly that). Most ‘orthodox’ Christians will struggle to tell lies, for any reason. Some of them are scientists. No, scientists should not have to sign up to any ‘moral code’. It would be a meaningless and unenforceable gesture. Ross – you have overheard these guys, have you?? Or are you the one telling porkies?? In my experience Christians frequently lie. It is obvious to any observer who stops long to look that morality precedes religion by necessity. Ken, sorry for the delayed reply. This was the example I was thinking of, but couldn’t locate. Ross – that is hearsay and hardly telling lies. Compare that with all the leis regularly told by preachers, creationists, etc. One advantage we have in science is the requirement to test against reality. this helps to overcome subjective desires. That criteria just doesn’t exist in religion. 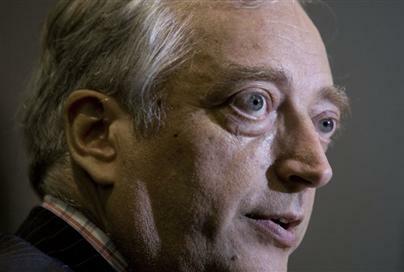 It is that criteria that Monckton would dearly love to remove. Wow! I’d only just come across this. Id’ never really come across Monckton’s religious views before, but it makes sense in the context of his denialism. How much is it religiously motivated? What was that about the Inquisition and all that? I’ve seen a Youtube clip where he for all intents and purposes said ‘grace” before starting the speech. lol. It was at some USA think-tank conference, I’m sorry that can’t provide details off hand.